Since 1936, the Walter Taylor Bridge has connected this pocket of the river to the hub of Indooroopilly. If you live in Brisbane’s Western Suburbs it’s likely you may cross this bridge multiple times a day yet are unaware of the bridges’ rich history. Opened on Valentine's Day in 1936, the bridge is Australia’s longest span suspension bridge and the only inhabitable bridge in the southern-hemisphere. To top it off, the cables were sourced from the world renowned Sydney Harbour Bridge. With over 35,000 cars using the bridge daily, it’s hard to think about life without the convenience of the Walter Taylor Bridge. Before the bridge, the site used to be home to arguably the best swimming spot along the river. 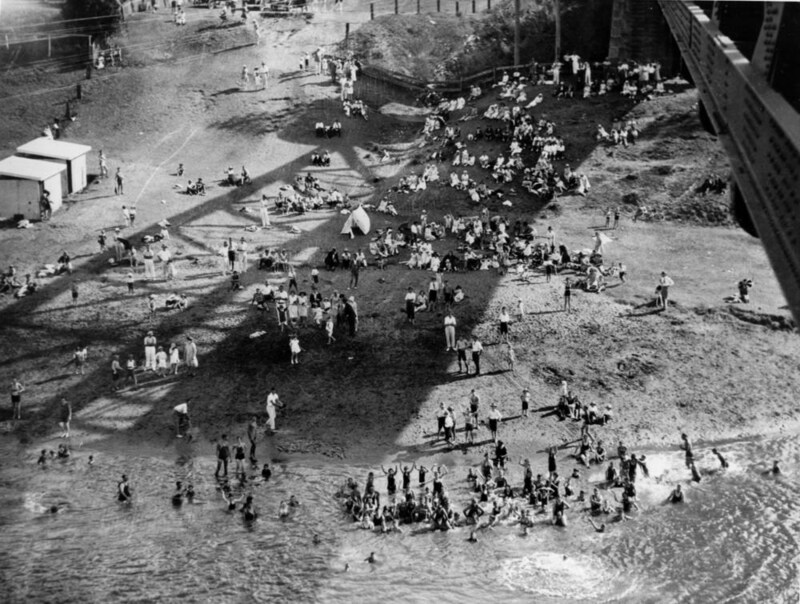 The swimming spot known as “The Chelmer Sands,” was formed when the 1893 flood dumped sand along the bank. For many decades the site hosted picnics and parties and it was loved by locals. Around the 1930’s the sand started disappearing and the silt and sediment started muddying the water and popularity declined. Almost 100 years on, the muddy banks are a long way from the clear, refreshing water that bathers use to swim in. Every morning from around 7am to 8:30am, cars on Honour Ave queue to cross the Walter Taylor Bridge. This peak hour traffic is all too familiar as this used to happen 100 years ago, when cars queued to cross the river via the ferry. 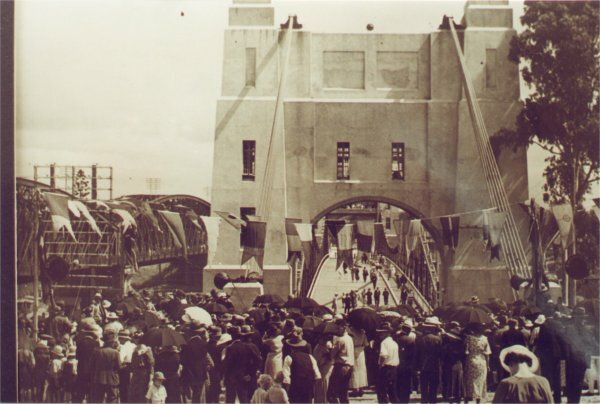 From the late 1800’s, the community had been requesting the Government to build a bridge to Indooroopilly. Planning didn’t commence until 1924 when Walter Taylor submitted plans for a traffic bridge between Chelmer and Indooroopilly. Construction started in 1932 and was finally completed in 1936. 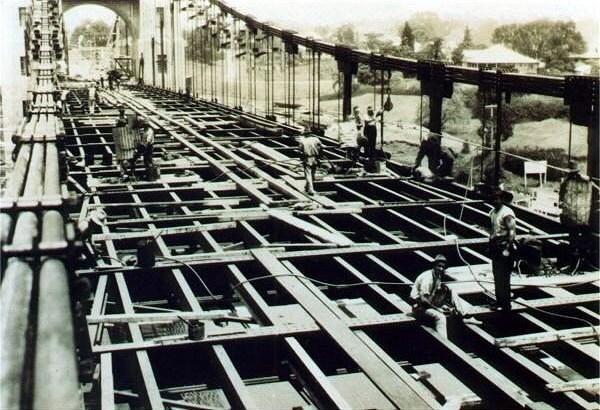 Due to the Great Depression, the government had no money to build bridges, however they passed a legislation to enable private construction paid for by the collection of tolls. 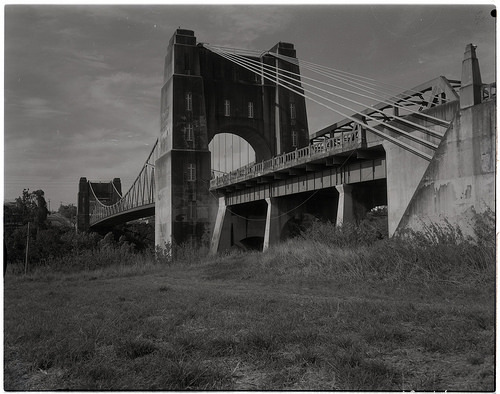 Walter built the bridge as a private enterprise. The company sold shares to get funding to start the build and the money raised in tolls was used to pay off the company. To save money, Walter decided to source surplus cables from the construction of the Sydney Harbour Bridge. The cables had been used on the Harbour Bridge to hold the separate arms of the bridge until the arms were connected in the middle. These cables now hold up the Walter Taylor Bridge. 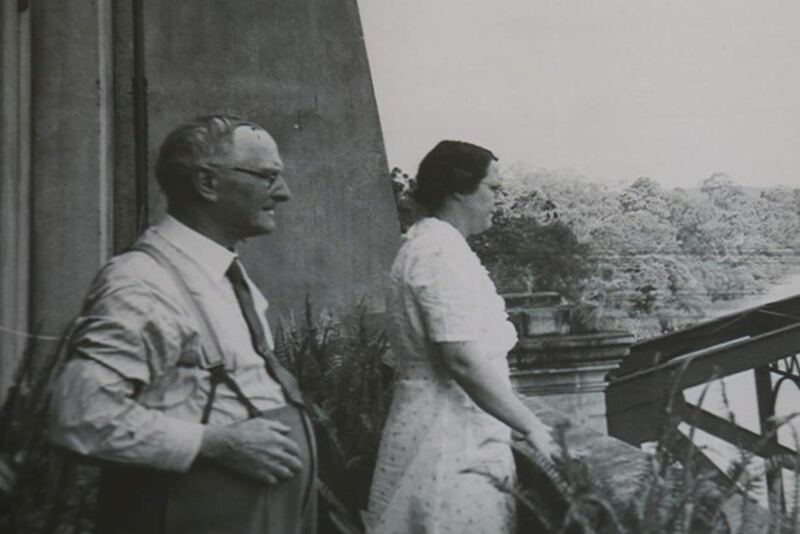 The bridge was operated by Indooroopilly Toll Bridge Limited, of which Taylor was a Director and Company Secretary. It was listed on the Australian Stock Exchange and their offices were located in the Central Buildings, Graceville. 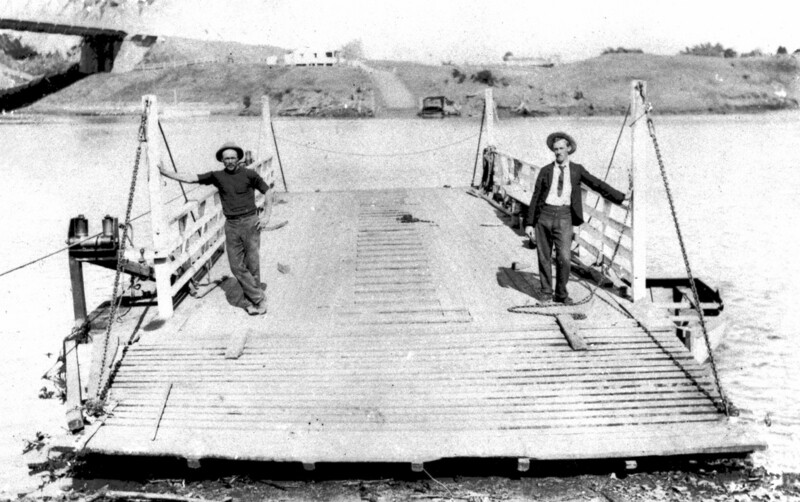 The total cost of the bridge was ₤85,000. In its first full year it made a profit of £2581, which is quite a profit since they were only charging a toll price of 1 penny. In 1966, the Brisbane City Council took over the bridge and the toll ended. Walter Taylor (far right) was the driving force behind the project, without him, it wouldn’t have happened so quickly. You may recognise some of Walter’s other buildings around the local area. He built the Sherwood Methodist Church and the Graceville Uniting Church. One of Place Graceville’s current listings, 13 Rakeevan Road, has links back to Walter Taylor himself. The sellers bought the property off the Taylor family and the home was previously owned by Walter. 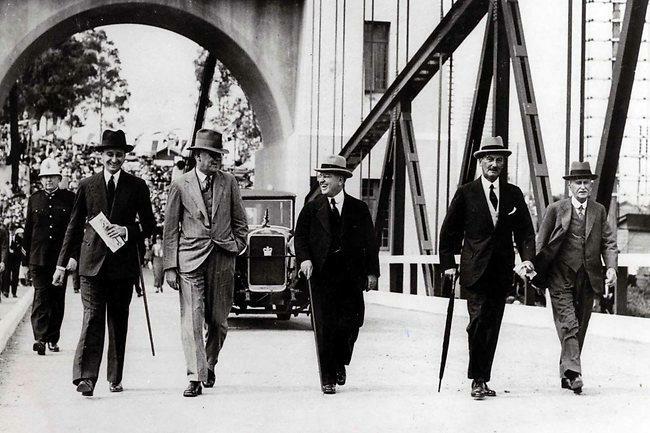 The Indooroopilly Toll Bridge was renamed the Walter Taylor Bridge in 1966 after Walter Taylor passed away. 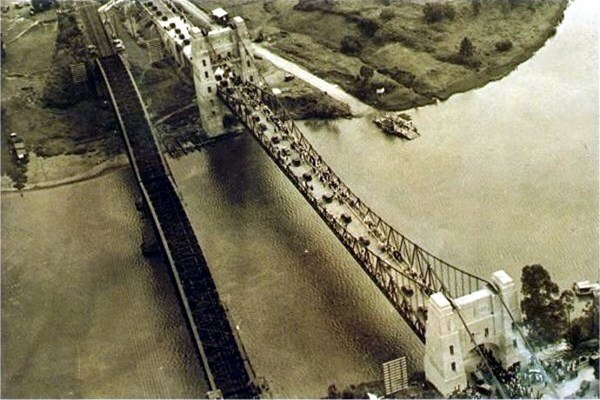 The bridge was opened on 14th February 1936. The opening of the ceremony was delayed by a fortnight due to the death of King George V.
One factor that makes this building so unique is its residential accommodation within the bridge structure. The Walter Taylor Bridge is the only inhabitable bridge in the southern hemisphere. The apartments in the pylons where built for the toll collectors. 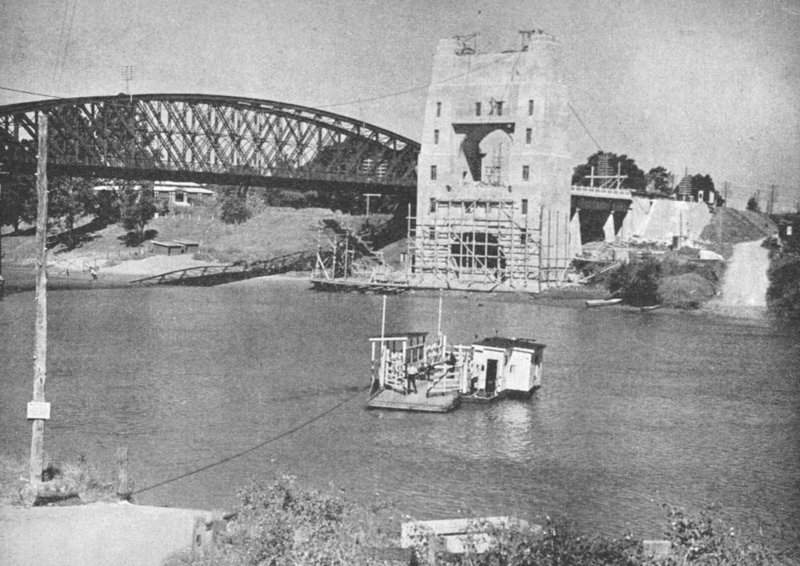 The Indooroopilly tower was occupied by the toll keeper and the southern tower was occupied by the bridge supervisor. The Chelmer tower was rented to university students through the 1970s and 1980s. Many locals say the apartments in the bridge fascinated them as kids. However, the Green children were lucky enough to call the bridge their home. The original toll keeper was Morton John Green (pictured above). Mort Green’s son had seven children who all grew up in the bridge. Three generations of his family lived in the northern tower for over 70 years until 2010 when the last family members moved out. While it may appear as small from the outside, the internal apartments are surprisingly spacious. However, as the apartments are confined within the bridge walls, the layout is a little awkward. When you step inside the bridge, you must climb 52 stairs to reach the living quarters. The kitchen and dining are located in the left tower and the three bedrooms are situated along a corridor. The bedrooms are above the arch in the pylon which is above the road. The bathroom and living area at the other end of the corridor. 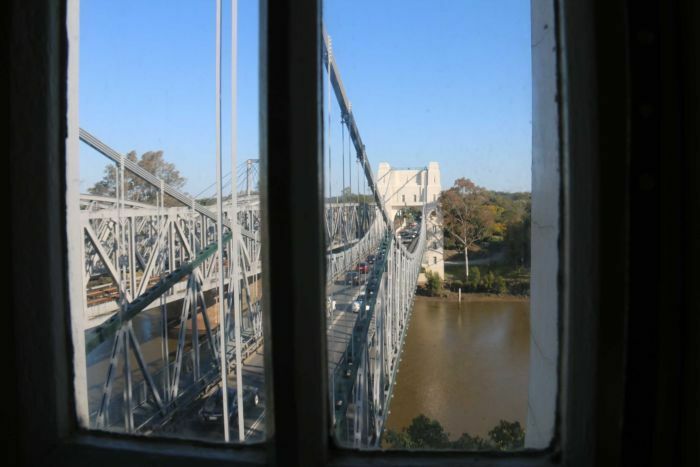 Along the corridor is a balcony which overlooks the bridge and the river. Although the ceilings are 10 metres high, the bedroom walls don’t go all the way up to the roof, resulting in limited privacy. Rumour has it, the children who lived in the bridge would jump over the walls while playing hide and seek. The southern tower at Chelmer also housed a large room nicknamed ‘the ballroom’, kiosk and boathouse beneath road level, which catered to swimmers at the ‘Chelmer Sands’. The bridge is no longer inhabited however it is now open to the public. If you want to fulfil your childhood intrigue and check out the bridge apartments for yourself, you can book a free tour with Brisbane Greeters. Some residents and politicians are demanding a second car bridge, to make travelling to Indooroopilly even quicker. While we don't know if we are getting another bridge yet, we do know that the Walter Taylor Bridge greatly enhanced suburban life between the North and South of the river. The Lantern Parade Is Back Again! Get great content from place on a regular basis, stay informed and up to date.